When having your carpets cleaned you are probably expecting for every stain to come out of your carpet so that it looks like new again. Well, although, most professional carpet cleaners will do an excellent job of carpet cleaning for you there are a few things you should be aware of. Although most carpets have typical stains from dirt, dust, allergens, traffic, and maybe food or drink spills it is important to know the facts. In most cases all of these types of stains can be removed making your carpets look beautiful once again. However, when it comes to traffic areas there may actually be carpet damage. 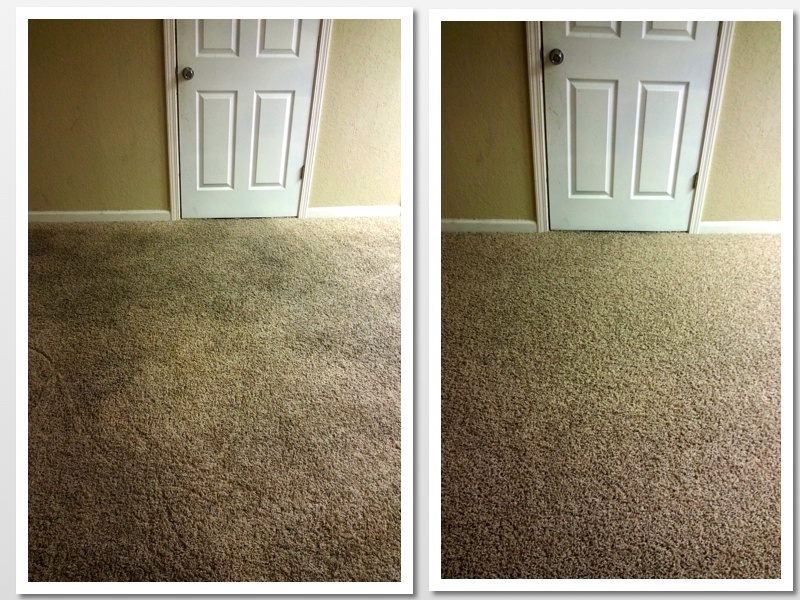 When an area has carpet damage it is usually visible before carpet cleaning is even performed. The areas of carpet damage can look like a stain or dirt because it is discolored and looks a little different from the rest of the carpet depending on how dirty your carpet is to begin with. 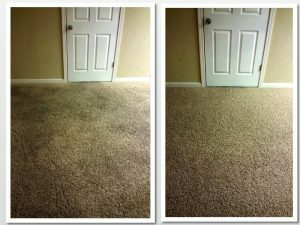 Now after you have professional had your carpets cleaned it will stand out a little more because the areas of carpet around it will look clean and you’ll have this area that looks a little off. Before you assume your carpet cleaner did not do a good job and you call complaining here are a few tips. A) At Beyer Carpet Cleaning they go over the carpet with the customer at the beginning and end of a job. They take notes of damaged areas and the customer is to sign off noting that they understand that it is damage that cannot be removed by carpet cleaning. B) Discoloration is a major factor. If the rest of your carpet looks great except for this one spot then chances are it is carpet damage. It is also usually in areas that would get walked on frequently like in front of doors or in areas where carpet meets tile. C) If you google carpet damage you will see images of what it looks like. Your carpet becomes damaged after an area is repeatedly walked on in the same areas. So if you usually walk the same “trail” in and out of your master bathroom chances are you are fraying or breaking open the fibers of the carpet which is carpet damage. Many times its looks like a grey, dingy, dull color. There really is no way of avoiding carpet damage. Even if you are a single person or don’t have many guests over or people living with you over time carpet just gets worn. Usually within about 5-7 years most families are looking to replace their carpet. If you don’t have kids then it could be a little longer but either way carpet damage is going to happen and it will eventually need to be replaced. Always be aware of the situation and don’t jump the gun in thinking your carpet cleaner didn’t do there job. If carpet is damaged it will look a little better after a carpet cleaning but it will not go away.